John Morris was always one of my favorite composers — he was the genius behind the music of Mel Brooks’ Young Frankenstein, Blazing Saddles, High Anxiety and others, and created the original arrangements for “Springtime for Hitler” that adorn Brooks’ classic The Producers. 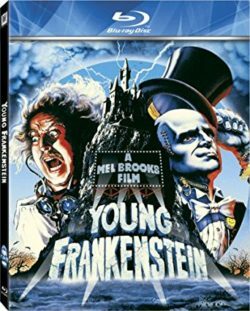 His death in early 2018 reminded me that I was interviewed for the Morris profile “Transylvanian Lullaby” for the 2008 release of Young Frankenstein on Blu-Ray. It’s a great 10-minute piece produced by my old friend Steven Smith; I also supplied the original Morris sketch for the main theme that appears in the featurette.